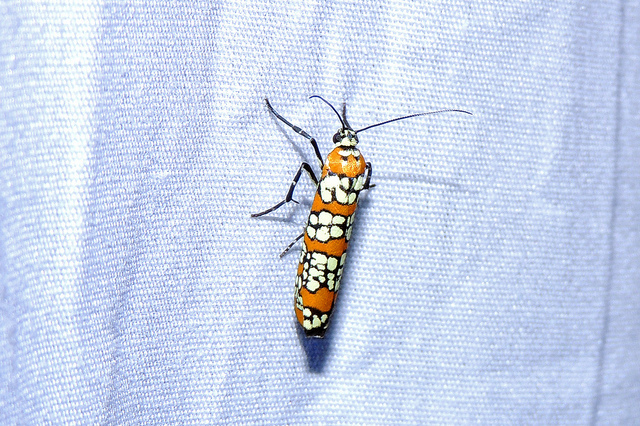 Ailanthus Webworm Moth Atteva aurea Fitch, 1856Adventive Synonyms: Atteva punctella, Hodges #2401. 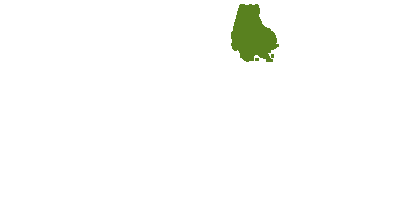 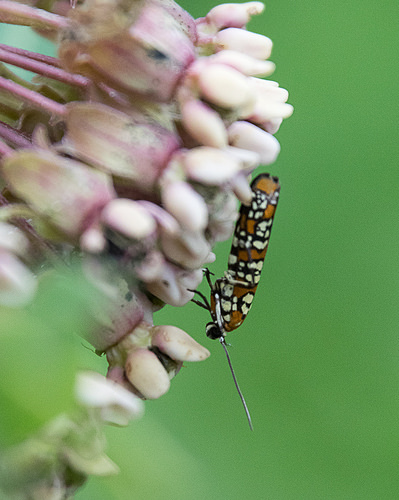 This is a tropical species that appears to have spread with the introduction of Tree of Heaven. 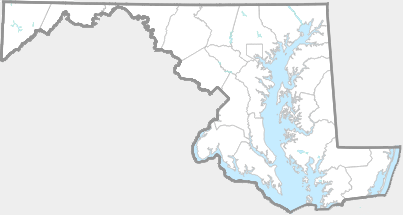 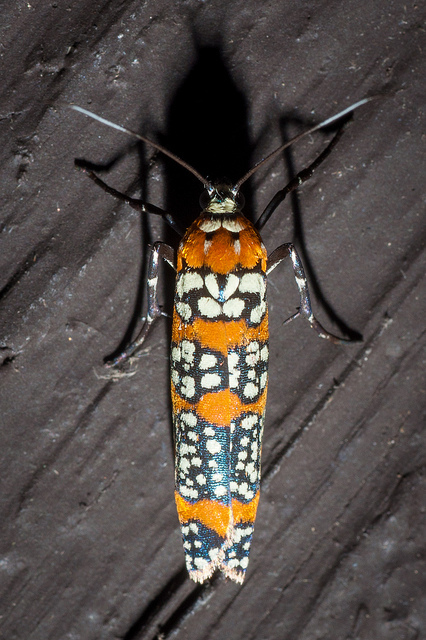 It is now common in the eastern U.S. 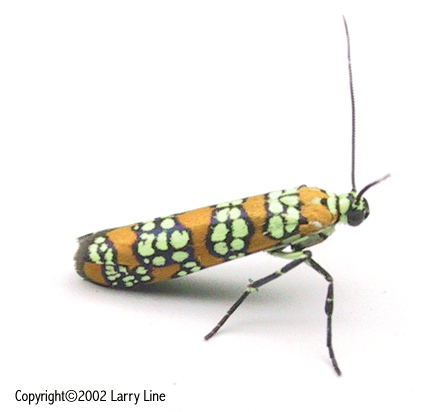 Adults are distinctive and easily recognizable. 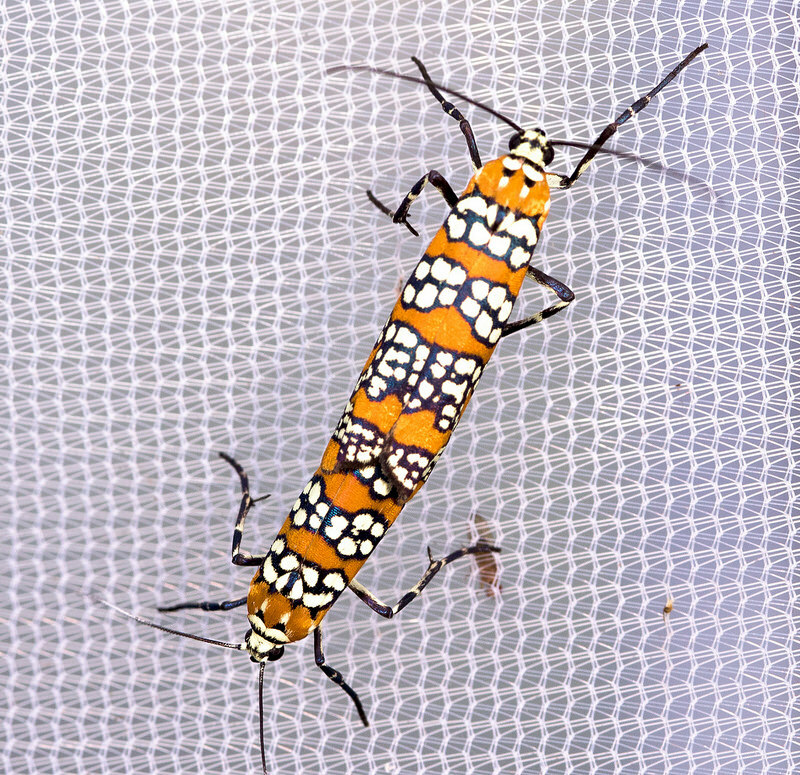 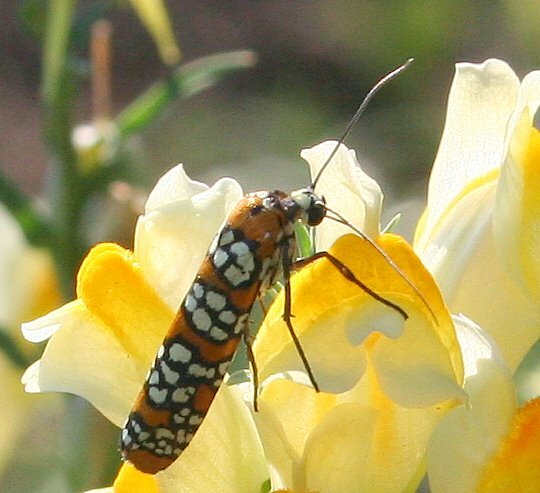 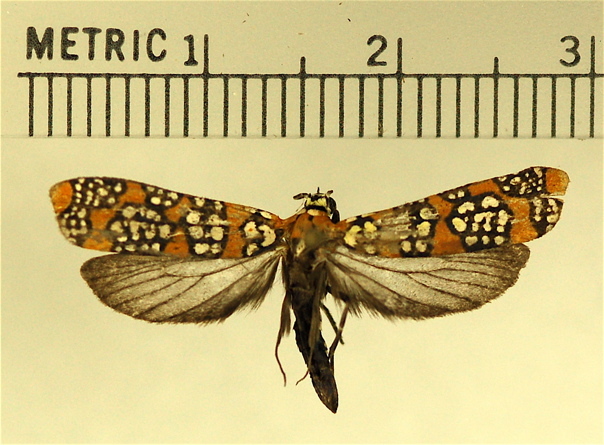 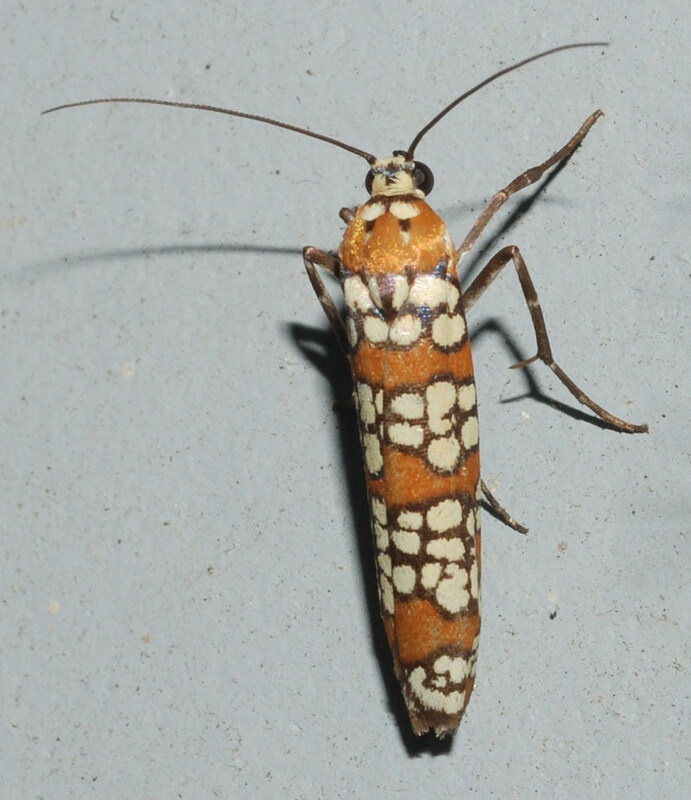 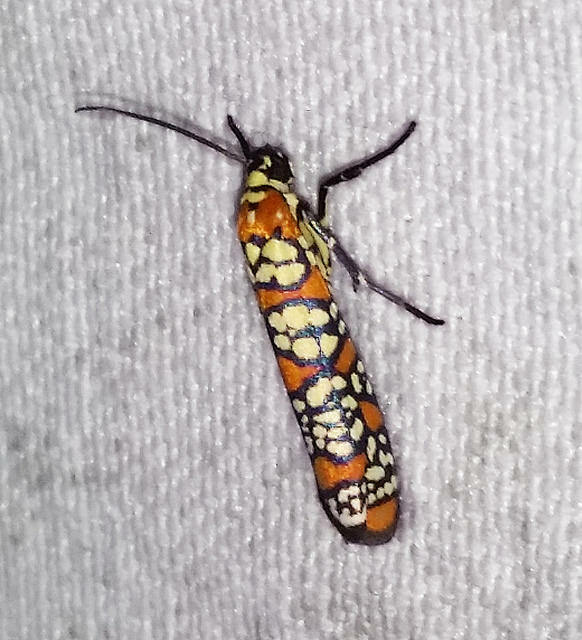 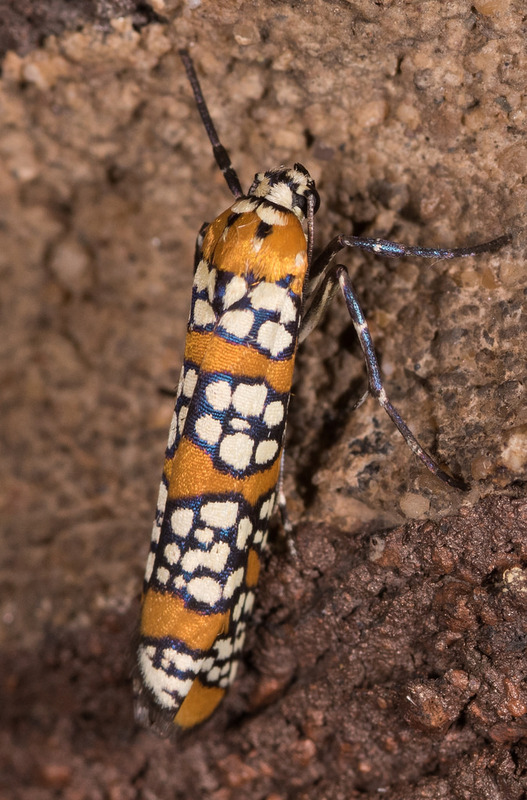 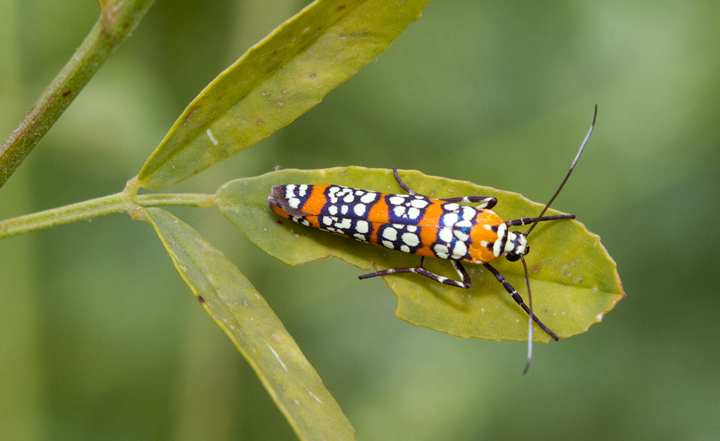 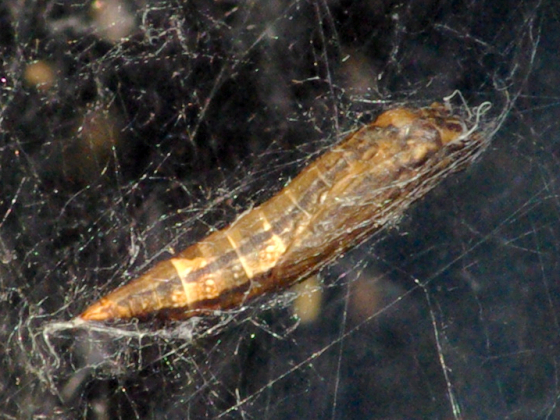 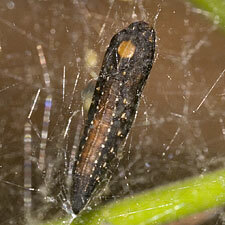 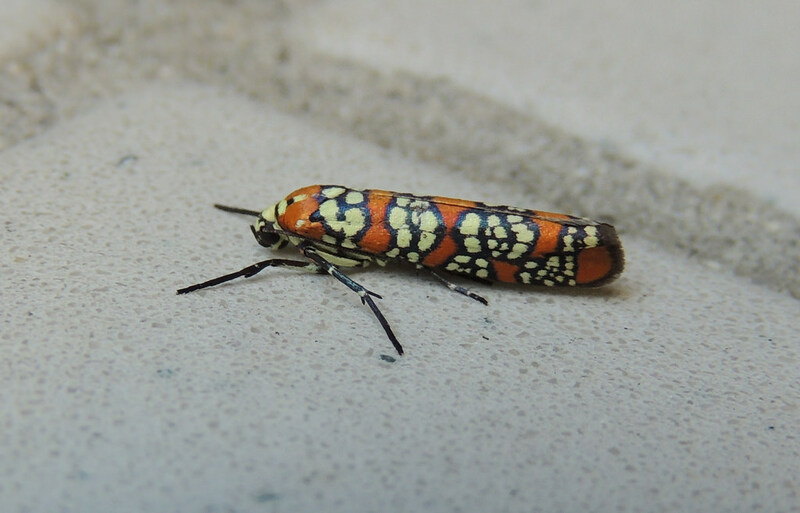 The Ailanthus Webworm Moth was formerly a tropical specialist of paradise trees (Simarouba). 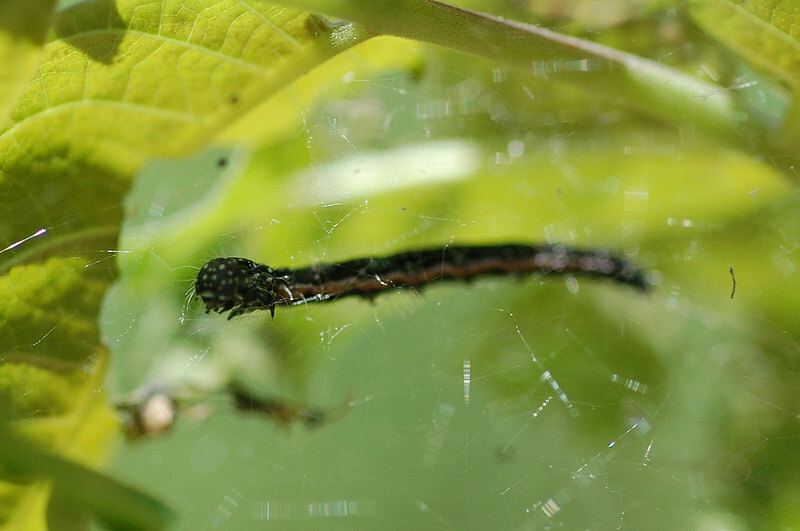 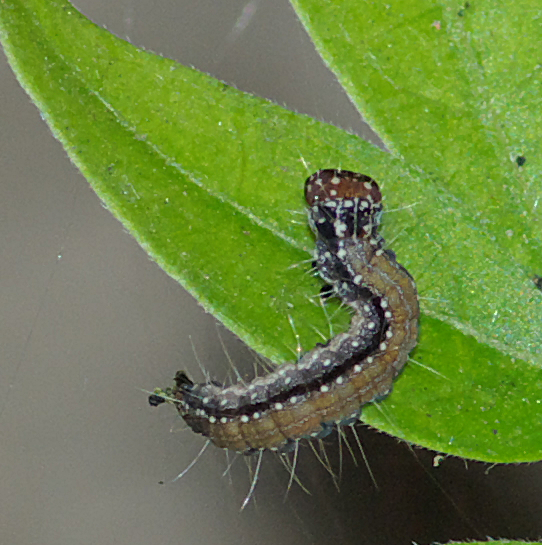 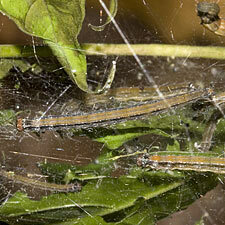 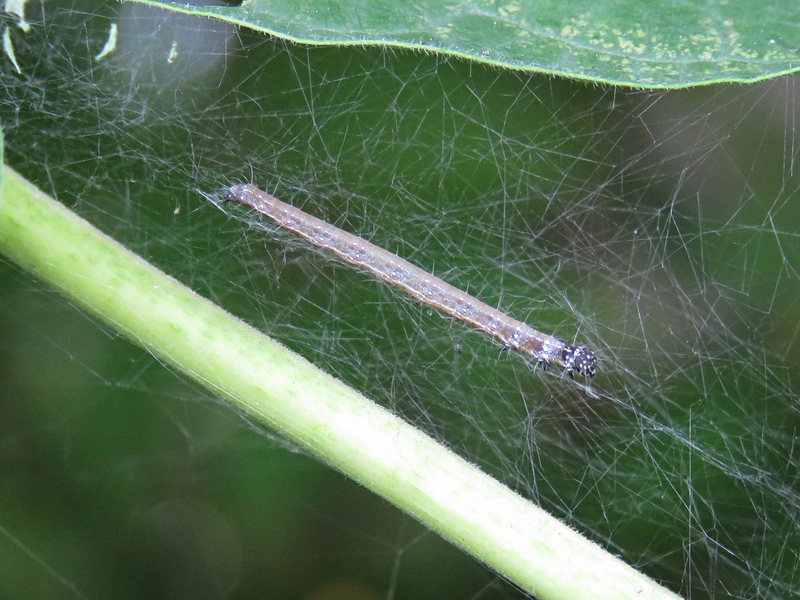 Larval host plant in our area is primarily Tree of Heaven. 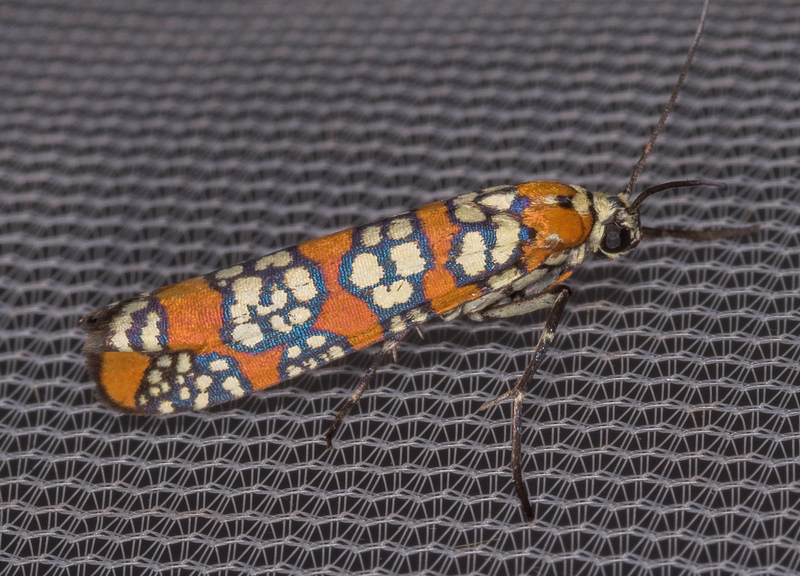 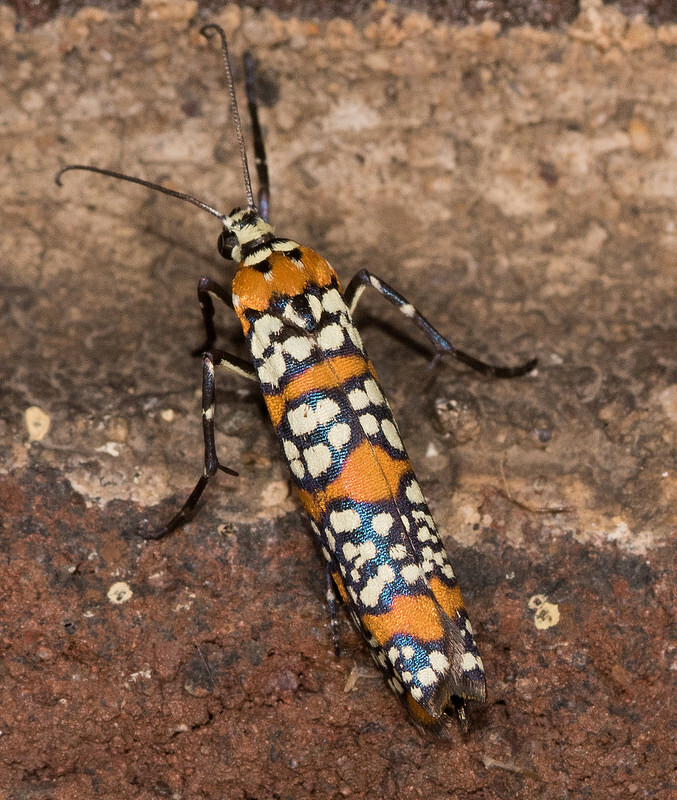 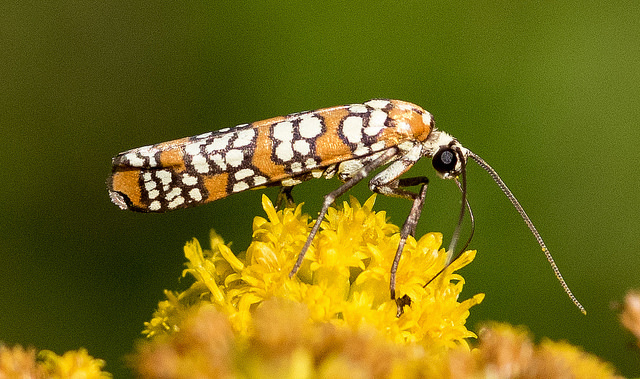 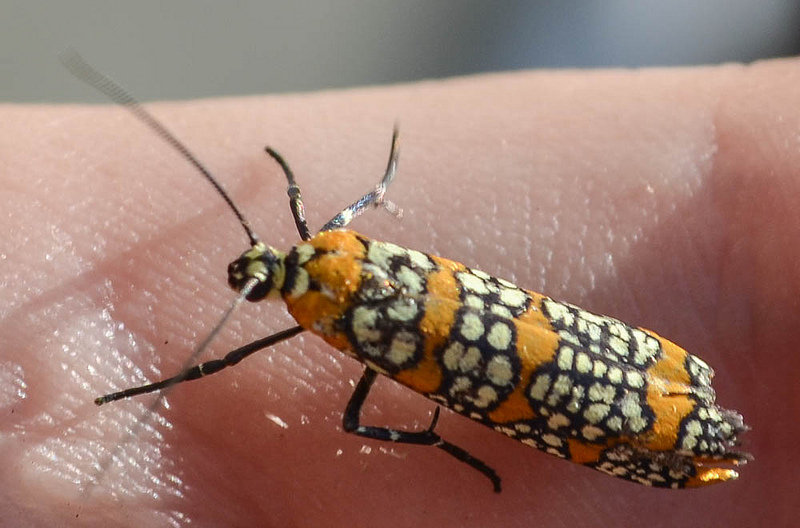 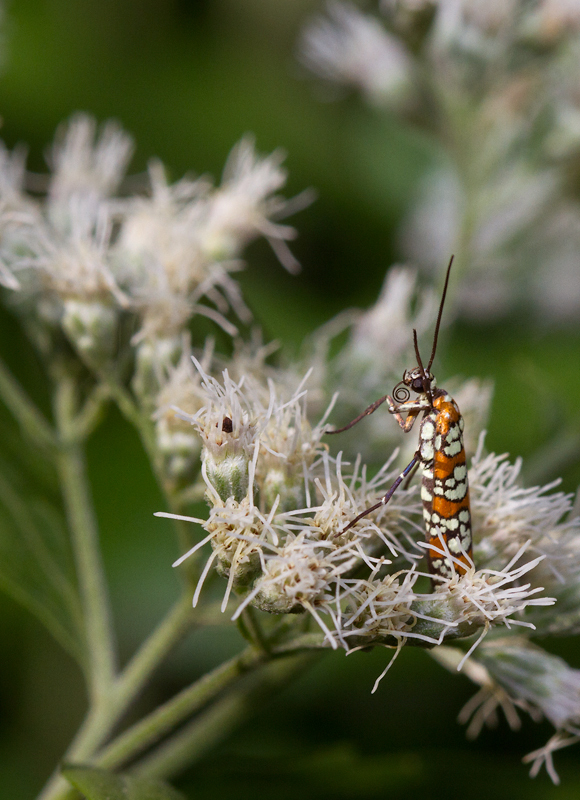 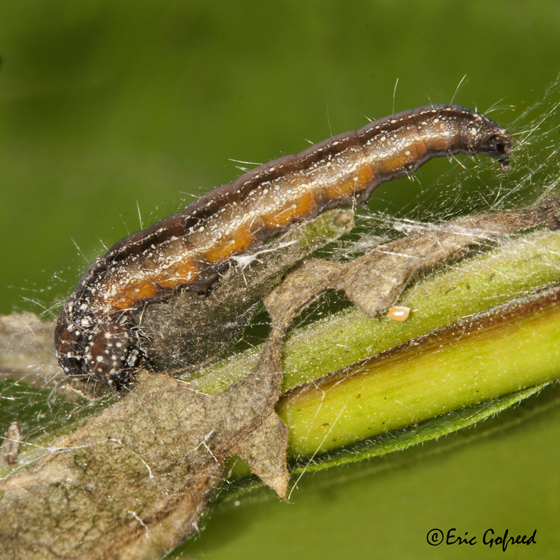 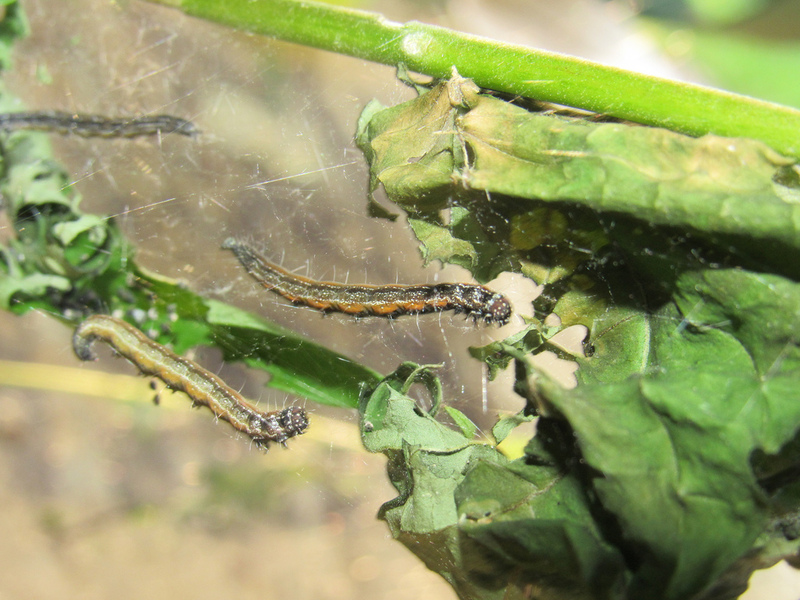 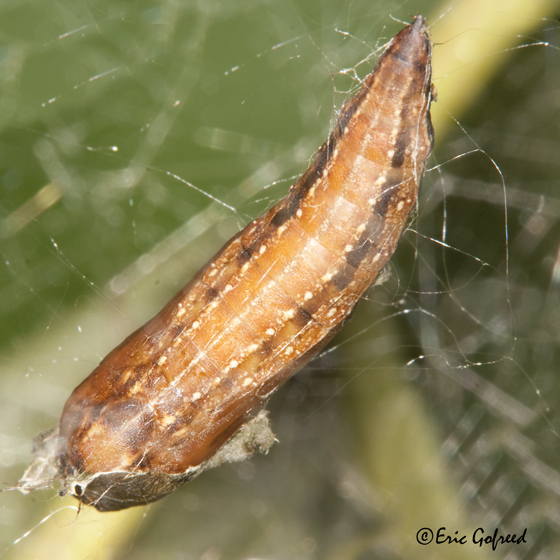 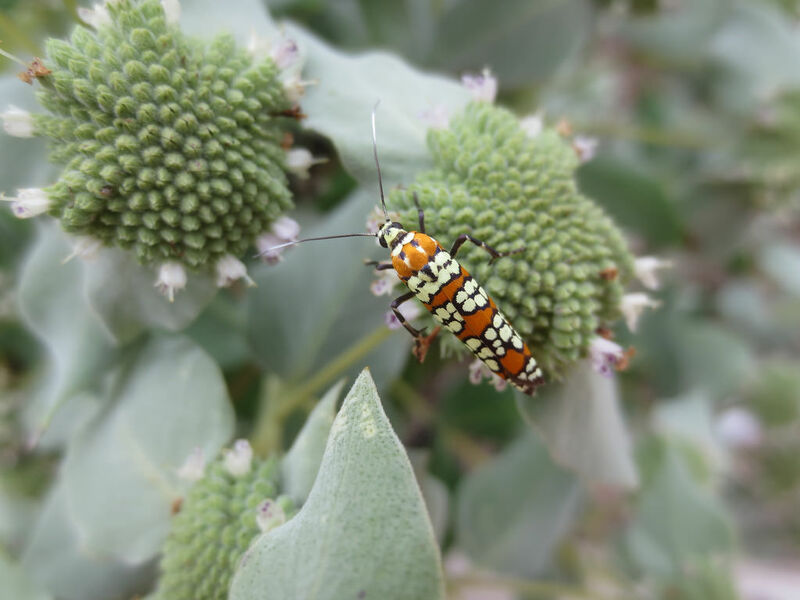 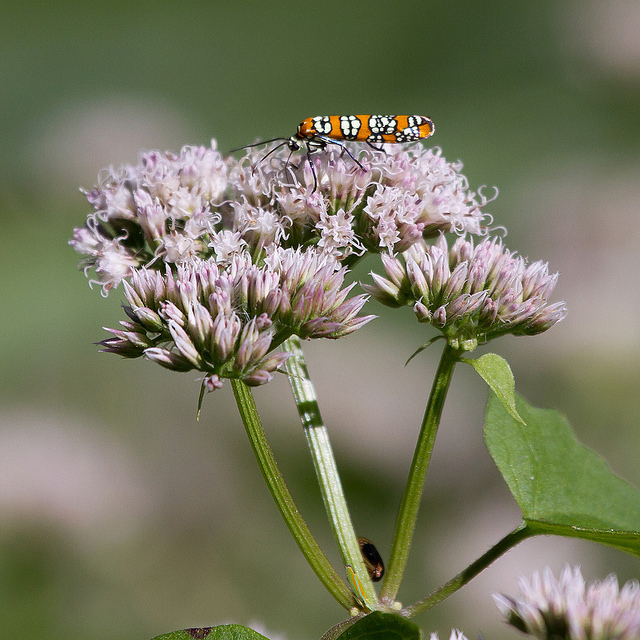 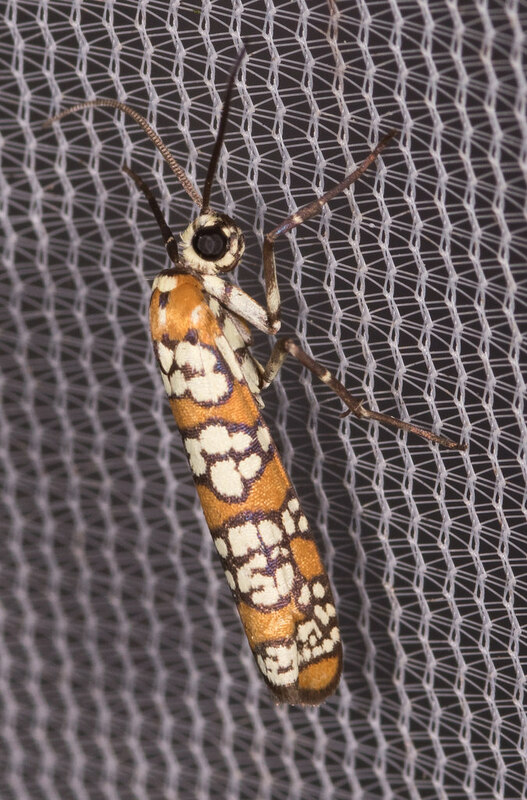 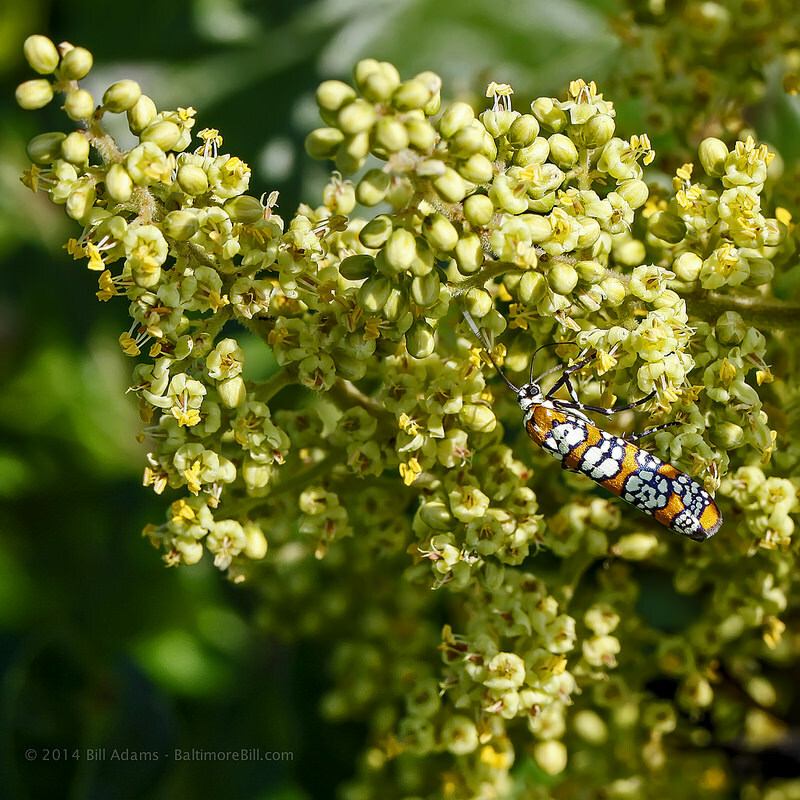 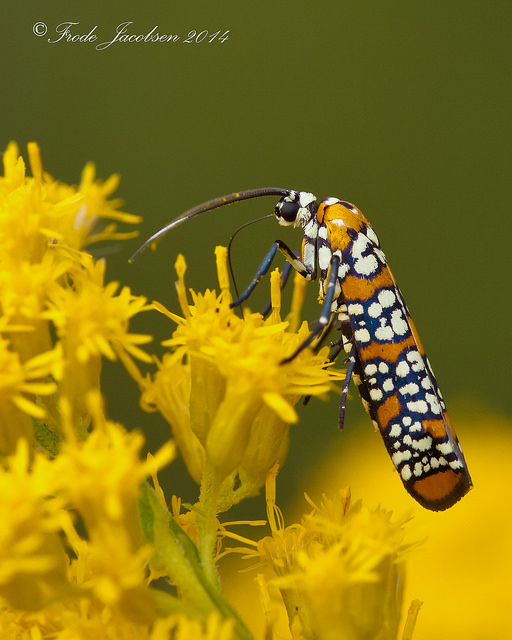 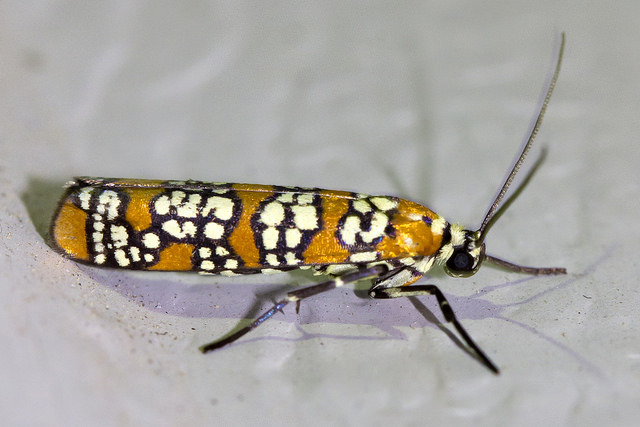 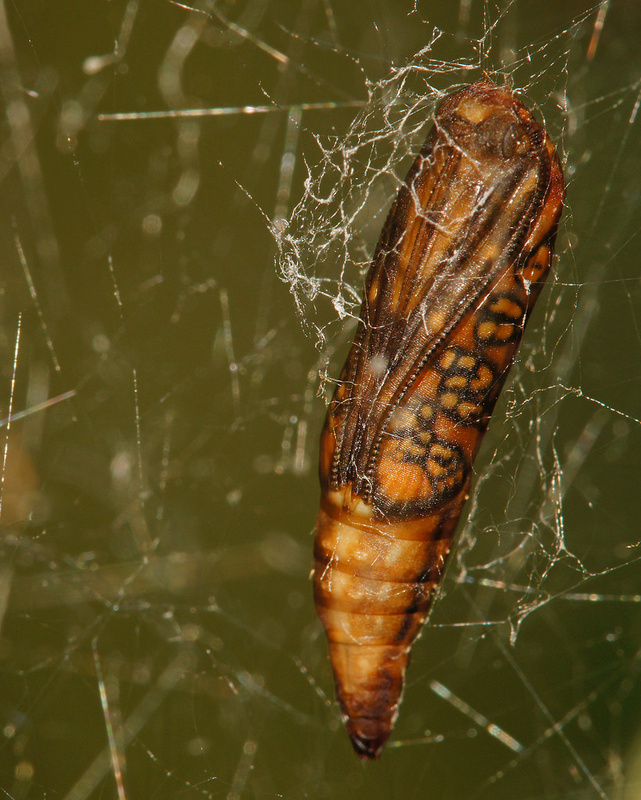 This invasive species appears to have enabled a massive range expansion for the Ailanthus Webworm Moth, so much so that a native North American moth now has a common name based on an invasive species! 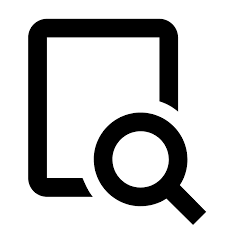 There are 327 records in the project database.